Ginnie Turnbull rode Just Soda No Ice to victory in the Four Year Old class, just ahead of Tinka’s De Niro under James McCullough – the two horses finished on the same score, 86, but while Tinka’s De Niro scored 17 for his conformation over Just Soda No Ice’s 14, the latter posted a better dressage and ‘star quality’ mark. Just Soda No Ice is a bay mare by Stallone Quainton, a half brother to Shutterfly. She is owned by Zoe Feeney. 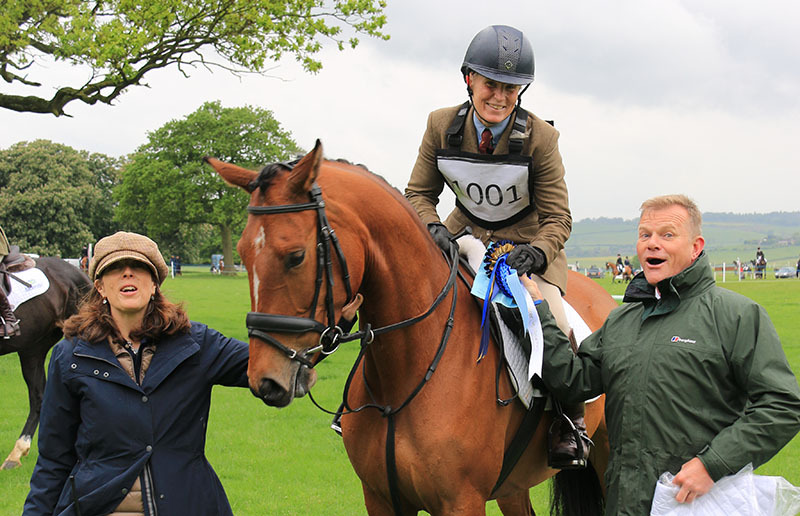 Tinka’s De Niro was the winner of both the Yearling and the Two Year Old Futurity Championships and won the Bramham Supreme Championship as a yearling. Owned by Lynn Robertson and Gwynneth Stageman, the gelding is by Dark Deniro. The Five Year Old class was also taken by a mare, Miss Moneypenny ridden by JP Sheffield. She had an impressive six point advantage over ruuner up Carricos Conquest under Matt Earith. Carricos Conquest qualified for the Four Year Old finals last year, as well as the Osberton Young Horse Championships.